The MaxLite® Corded Ear Plugs, made by Howard Leight, are manufactured with low-pressure polyurethane foam for a comfortable fit the entire time you have them in use. It is in the form of a T-shape for a tighter fit and easy handling. This specific pair is typically used for a smaller ear canal, but does expand gently for a comfortable fit. It provides a Noise Reduction Rating (NRR) of 30 dB to protect your employees from damaging their hearing while working. There are 100 pairs/box. Price shown is per box. For a higher NRR, you can check out our Max® Orange Ear Plugs that are also made by Howard Leight. 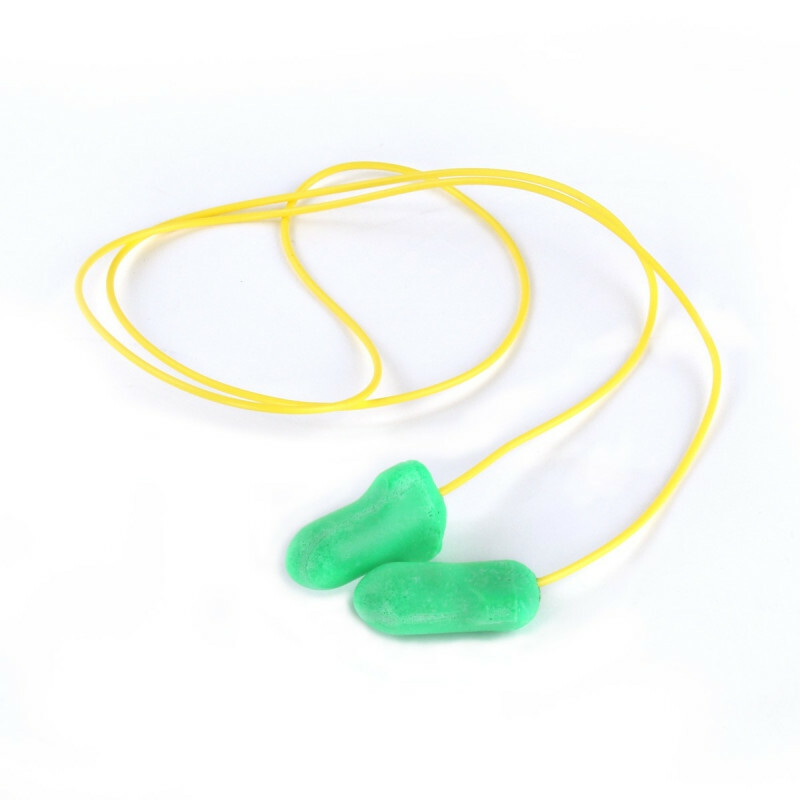 This is a review for the MaxLite® Green Ear Plugs – Corded.